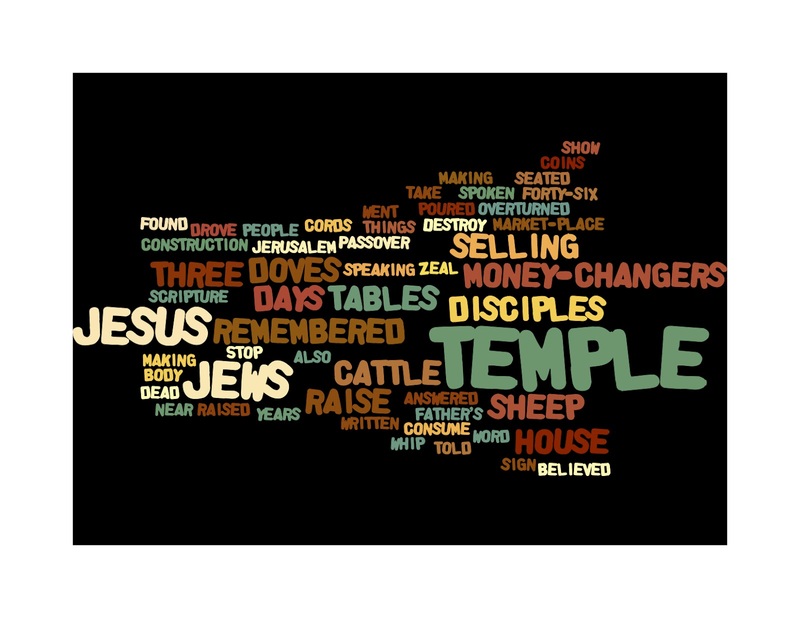 Here is a Wordle of next Sunday's Gospel reading from John 2:13:22. 1. 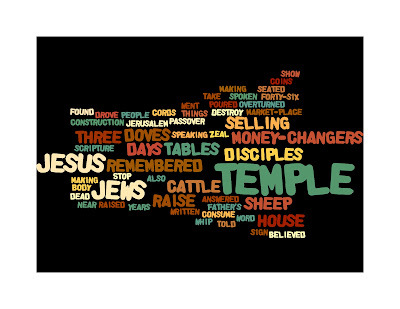 What does the Temple, as a theological concept, reveal to us as Christians? 2. What is the nature of the relationship between Jesus, the Temple and those for whom the Temple was important, the Jews? Other things to do with how the Temple was used and those who gathered there, namely those who sold items in the Temple courts, are important not at the heart of this exchange. Who and what is the Temple for? On www.txt2pic.com you can make more images with your text.